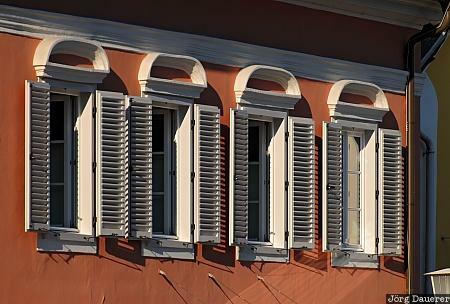 Windows and shutters in Ehrenhausen illuminated by low morning light. Ehrenhausen is in the south of the state (Bundesland) Styria (Steiermark) in Austria. This photo was taken in the morning of a sunny day in August of 2007. This photo was taken with a digital camera.